William Cullen, Jr., is a veteran and works at a non-profit in Brooklyn, New York. His poetry has appeared in Camroc Press Review, Gulf Stream, Pirene’s Fountain, Spillway, Wild Goose Poetry Review, and Word Riot. 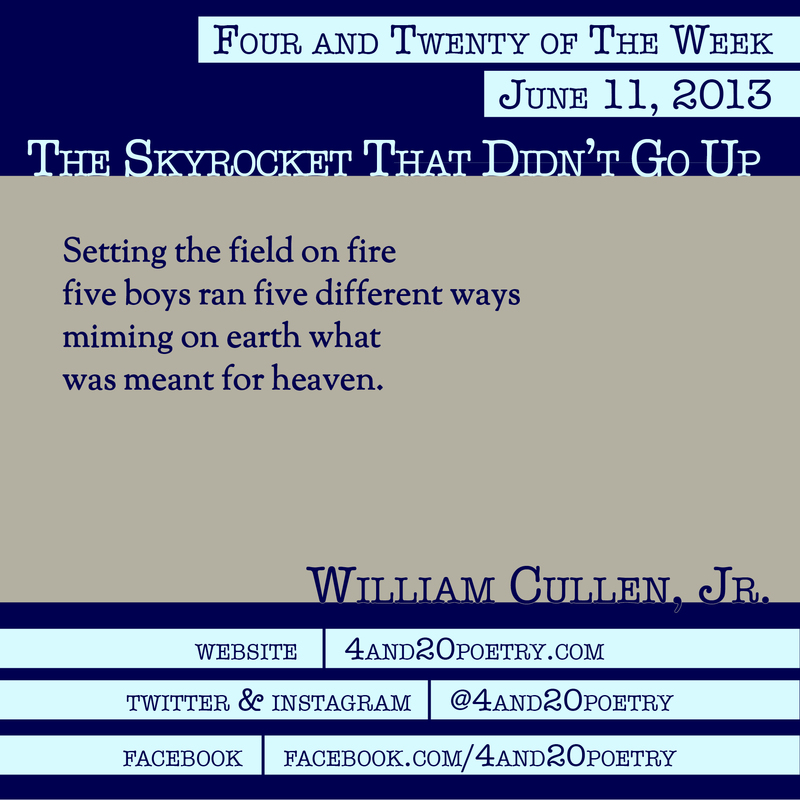 This entry was posted on Tuesday, June 11th, 2013 at 4:20 am and is filed under Four and Twenty of the Week, Micro Poetry, Poetry. You can follow any responses to this entry through the RSS 2.0 feed. Both comments and pings are currently closed. Brilliant work, Mr Cullen. Salute! enjoyed this i will be looking to the heavens for what should have been!